Lontek Push Up Bar-Specially designed cushioning foam handle - Prevent wrist pain by Lontek at Strongman Pictures. Hurry! Limited time offer. Offer valid only while supplies last. Extra comfortable grip design. Well constructed and durable. It is stable and safe and will never slide on you. Engineering plastic material allows high weight capacity. Stronger and more sturdy than steel material. 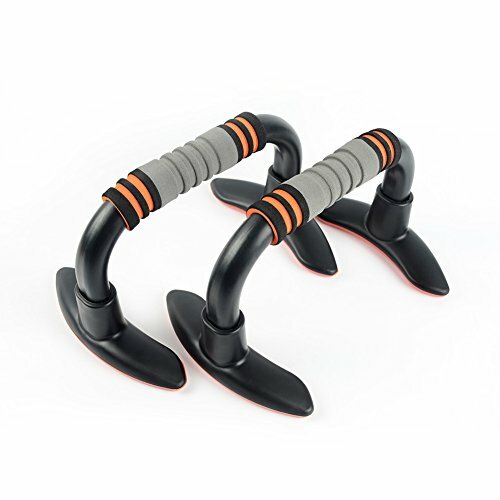 Higher stands allow your to train your muscles much more efficient during workout. Lightweight and compact. Almost fully assembled. 100% MONEY BACK GUARANTEE: Your personal need is all we care. We will only provide you with the finest product and service around, or your money back, no questions asked! Add your grips to your chart now, and enhance your training experience with us! If you have any questions about this product by Lontek, contact us by completing and submitting the form below. If you are looking for a specif part number, please include it with your message.